The AL435 is a powered boom extension, offset geometry, and can lift a power chair or scooter from the vehicle cargo area and position it beyond the lowered tailgate or on the sidewalk next to your vehicle. Adjustable limit switches automatically stop rotation to prevent contact with your vehicle. Variable column height, arm adjustments and adjustable base ensure a custom fit. 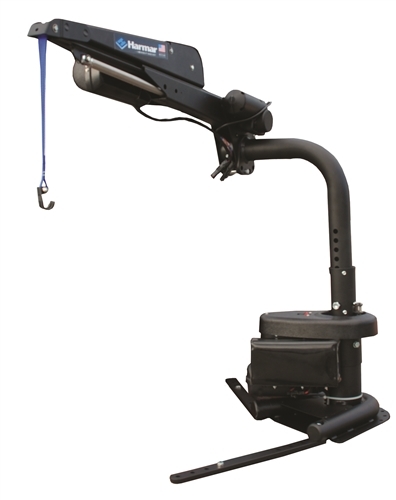 The "Action Base" is a patent pending design that provides a full 180 degree of adjustments on the lift base mounting legs as well as a low profile leg design that provides greater clearance. For more information, click on this Link!